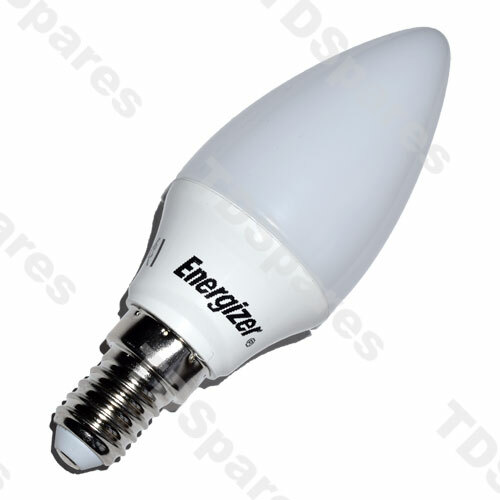 Energizer E14 Candle LED Light Bulb, 3.5 Watts, Warm Light, Pearl, 250 Lumens Equivalent to 25 Watts, Uses 85% Less Energy, Lasts 25 years! 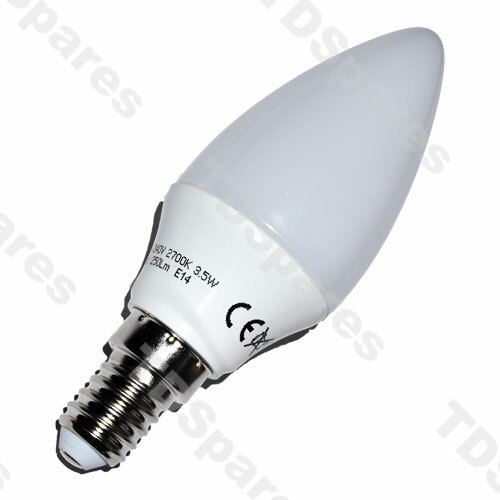 These 3.5w LED candle bulbs give off the same light as a standard 25w bulb but at a fraction of the cost, they are also cool running and will last around 25 years*, which means you won't be buying replacements for a very long time! 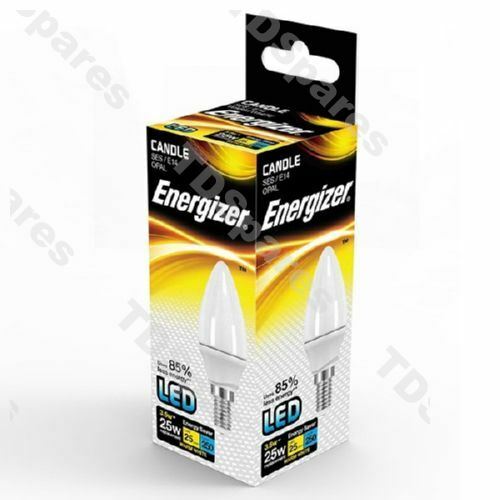 Energizer E14 Candle LED Light Bulb Pack Of 10, 3.5 Watts, Warm Light, Pearl, 250 Lumens Equivalent to 25 Watts, Uses 85% Less Energy, Lasts 25 years!